The Abarth car makers are renowned for their racing car heritage. Founded in 1949. The range includes 5 models at present with something to suit all budgets and tastes. From the iconic 124 Spider to the small and compact but oh so much fun 695 Biposto. The Abarth badge means that something special is lurking beneath the bonnet. Famed for exceptional performance, acceleration and driving experience the Abarth is truly a unique brand. The racing pedigree alone tells you that these cars are something special and deserve respect for both looks and performance. You can customise your car to the desired spec with extras that take the brand to a whole new level in terms of looks and also performance. The prices you see for the list prices for new models may not actually be what you pay thanks to us. Coast2Coast Cars works with a UK wide network of Abarth dealers, each offering their own unique offers and deals for anyone looking to purchase this special brand. Just build your required model, spec, colour and any extras using our east online form and we go locate the car for you. Saving you time and also saving you thousands of pounds too. No fee is required from us and you are under no obligation at all to take up the offers presented to you. Abarth finance can also be arranged subject to status. Another alternative way to finance a car is with All Car Leasing, they are always giving out new deals for your preferred vehicle. 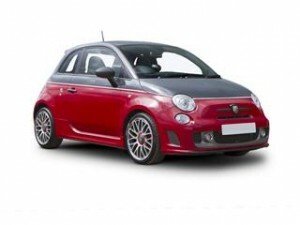 See how much you could save on the iconic Abarth range with Coast2Coast Cars. Get started now using our simple 2 minute form. The Abarth 595 offers an unbelievable experience for such a small car. The little hot hatch is fast and fun to drive. The new facelift model of 2016 promises even more driving smiles.